With each passing season, it feels like Jesuit's hold on the Metro League only strengthens. They're the undisputed top football program in the conference until somebody knocks them off. Since the 2012 Southridge squad stunned the Crusaders and took Metro, very few teams have come close to touching Jesuit who is the league's touchstone. And unlike some other sports where the jealousy-fused, anti-Jesuit bias is strong and affects all-league voting, the victors usually get the spoils. On the heels of their sixth straight Metro title, the Crusaders lead the first-team all-Metro selections with 11 including guys like Andy Alfieri and Joe Quillin who clinched first-team honors on both sides of the football. 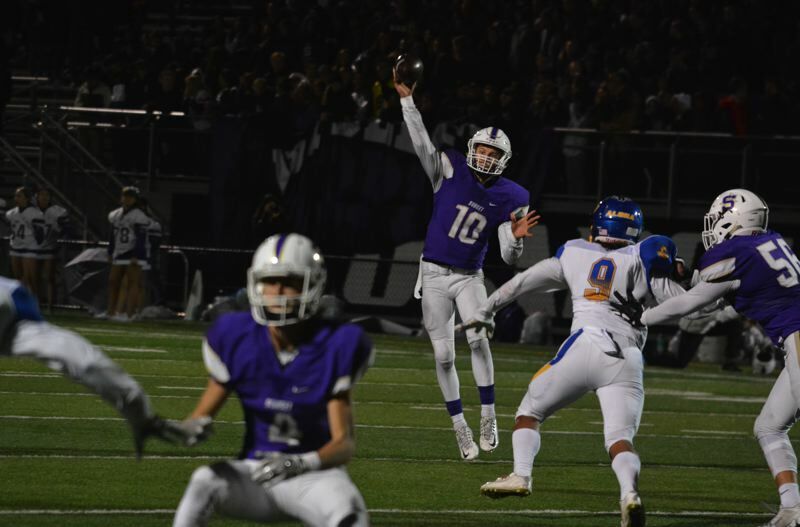 Senior quarterback Will Spitznagel, a three-year starter who now has a wealth of experience under his belt, was named Metro Offensive Player of the Year. Spitznagel piloted a Crusader offense that's become increasingly balanced since he won the starting job prior to his sophomore campaign. Jesuit will always pride itself on pounding teams into submission with its rushing attack. These days it's not often you see teams line up with just one wide receiver on the outside and a fullback situated in front of the running back in the backfield. But Spitznagel's marked improvement, even from the second game of this year against Lake Oswego through the second round of the Class 6A playoffs, has lifted Jesuit's ceiling as a state title contender. Senior linebacker Zach Carr was named Metro Defensive Player of the Year, headlining a front seven that sets the tone for everything Jesuit does defensively. Carr could blitz and hound the hell out of opposing field generals or quarterback a swarming run defense that held down the likes of Sheldon and Central Catholic over the course of the regular season. Carr joins likes of past Jesuit linebacking greats Joey Alfieri and Isaiah Brazie-Henderson as DPOY. Alfieri could very well be the next-in-line as Jesuit's '19 DPOY. The 6-foot-3, 225-pound man-child was named first-team all-Metro at running back and linebacker. Quillin is a throwback snarling sort of offensive and defensive linemen who foes hate to face in the trenches. Senior center Seth Monahan and junior Shea Brooks were joined Quillin on the all-Metro first team. Junior fullback Logan Horton, a huge yet unheralded piece of the Jesuit ground game and fellow junior slotback Joey Gatto were also first-team all-Metro. Gatto, though slight in stature, is lightning quick in the slot with sticky hands. Sunset, who finished as the Metro runner-up for the second straight year and made it to the second round of the 6A playoffs had five first-team all-Metro picks as did Beaverton. Sunset junior quarterback Callum Craig, in his first season as a starter, was named first-team. The electric athlete with a strong right arm took command of the Apollo offense and took off during league play. Senior linebacker Kadin Williams was a tackling machine and a blitzing threat at the second level of the Apollo defense. Senior two-way lineman Hunter Newcomb was a varsity mainstay during his Sunset tenure, a pile-driving, run-stuffing big guy who was the Apollos' anchor. Beaverton junior defensive end Sandrey Mitberg was a constant source of double teams and extra blocking help, yet the Beaver still garnered first-team all-Metro honors for his ability to flip a game from his edge position. Beaver senior Ben Mackinnon emerged as one of the best corners in Metro, someone who stuck with Westview's athletic pass catchers in the rivals' matchup back in early September and more than held his own. 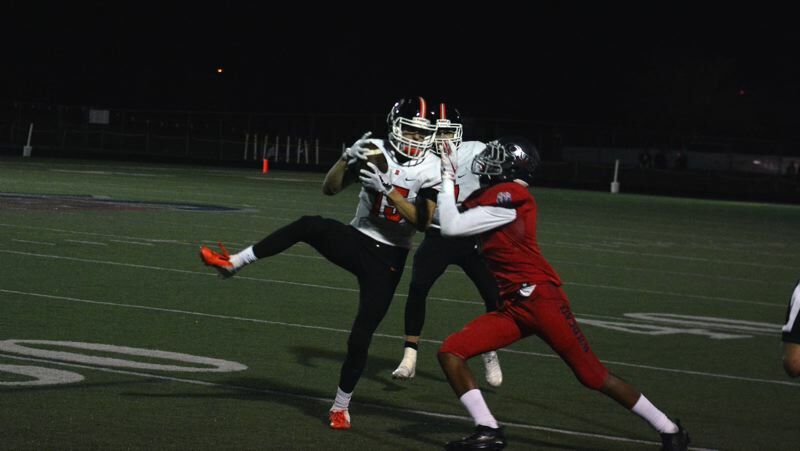 Beaverton senior wide receiver Ethan Wilborn was one of the league's big-play threats, a lanky, explosive pass catcher with hops and speed. Kicker Sam Forster and offensive lineman Gus Woolfrey were also first-team all-Metro picks. Southridge's star-studded senior trio of Keyvaun Eady, Kade Hustler and Blake Sims certainly lived up to the billing this fall. Eady (wide receiver/cornerback) and Hustler (linebacker/tight end) were again first-team selections on both sides of the ball. Sims, despite sitting a few games with an injury, was first-team All-Metro at running back. Aloha enjoyed its first trip to the 6A playoffs in three years and was awarded with three first-team honorees: senior defensive back Cesar Soto, senior defensive lineman Elijah Vinzant and junior Joseph Acuavera. Mountainside, in its first year playing at the varsity level, earned two first-team picks: junior defensive lineman Nicholas Calhoun and kicker Tyler Dahlback. For the second team, third team and honorable mention all-Metro honors, please visit www.beavertonvalleytimes.com.